It is now official. 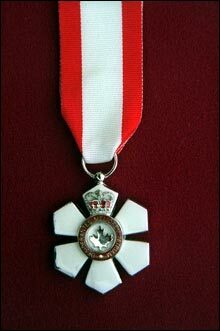 Harry Strong, Chief Executive Officer of the Canadian Coast Guard Auxiliary has been appointed to the Order of Canada. Harry was presented with Canada´s highest honor for lifetime achievement by her Excellency the Right Honorable Adrienne Clarkson, Governor General of Canada, during a ceremony held at Rideau Hall on February 20th.